What better way to celebrate the start of spring than with a fabulous spring flower party? Pack the day with fun flower-inspired activities and treats for a truly springalicious event! Invite guests to dress as their favorite flowers, hold a garden tea party, make plant-themed crafts, and serve sweet flowery treats. Kids even get to take home their own mini planter and flower seeds for growing their very own spring flowers. Here's a step-by-step guide to get you started. Start by creating the party invitations. Ask your child to fold each piece of card stock in half width-wise to make a card. Invite her to decorate the front with spring-inspired images such as flowers, grass, and rainbows using puff paint. Encourage her to draw a different picture on each invitation. Open each card and write the party information inside: party address, date, time, theme (spring flowers), and a contact number that guests can call to RSVP. You can hand write this part or type it up on the computer. Now design your party decorations. Help your child cut large circles, ovals, and rectangles out of the construction paper and tissue paper and use them to create huge, over-sized flowers. 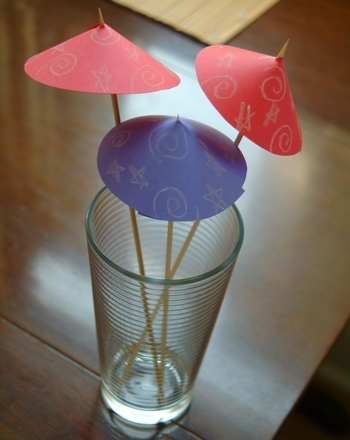 Make balloon flowers. Bunch together several balloons in the shape of a flower and secure them together with a rubber band. Make prints using flowers and paint. Dip the flowers in acrylic paint and press onto paper to create a print. Design flower collages. Gather enough flowers and leaves for all the kids. 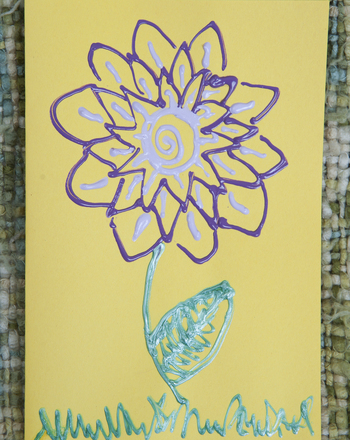 Invite the kids to glue the flowers onto paper in a pretty design. Pressed flowers work well for this craft (Click hereTo find out how to make pressed flowers). Throw a flower tea party outside. Serve mini sandwiches cut into flower shapes with cookie cutters and flower-based teas (iced or hot) for the adults and fruit juice for the kids. Some good flower teas are jasmine green, orange blossom, or rose. Decorate cookies shaped like flowers with spring-colored icing and sprinkles. Serve fresh veggies in the shape of a flower, with celery sticks as the stem, broccoli as the centre, and carrots as petals. Bake a flower-shaped cake or spring cupcakes. Bake sunflower seed granola and serve with fruit and yogurt. Grill up some veggie burgers (they're made from plants!). Make mini sandwiches cut into flower shapes with cookie cutters (it doesn't have to be for a tea party). 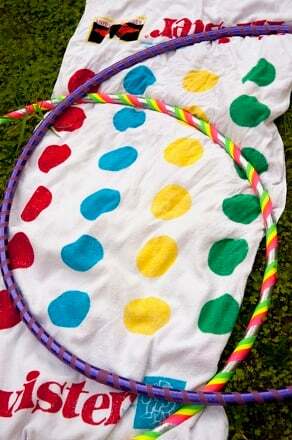 Finally, make the party favors. 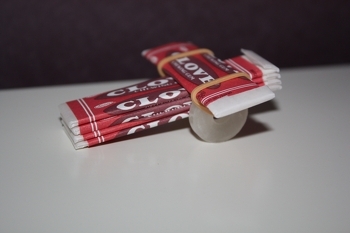 Cut off the tops off the milk cartons or soda bottles. Fill each container with potting soil. At the party, give each child a few seeds and a container filled with soil that they can plant their seeds in. For a special touch, include inexpensive kid gardening gloves with each favor. On the day of the party, put up your huge paper flowers and hang streamers and balloon flowers in the yard and around the house. Set up craft and activity stations and lay out the food, then welcome the kids in and let the spring fun begin! These festive red and blue drink umbrellas are the perfect DIY party idea. While you're making them you can even sneak in a little compass practise. Make springtime around your house even brighter by coloring and making this spring banner to hang up! It's a great decoration for parties and Mother's Day. Spring has sprung! Help your child's vocabulary grow too, as he searches for words related to spring. For party planners everywhere, here's a gorgeous Halloween party invitation to help you guide ghosts and ghouls of the neighbourhood to your doorstep. Jot down ideas for music, food and more! 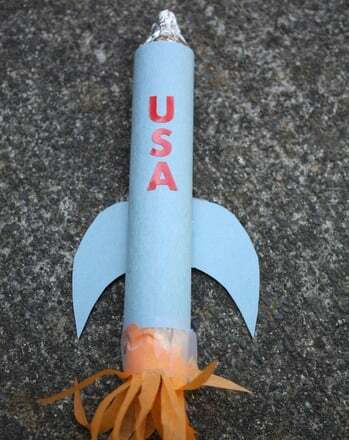 Help your crafty kid make rocket-shaped party favors to hand out to friends and family on Independence Day!